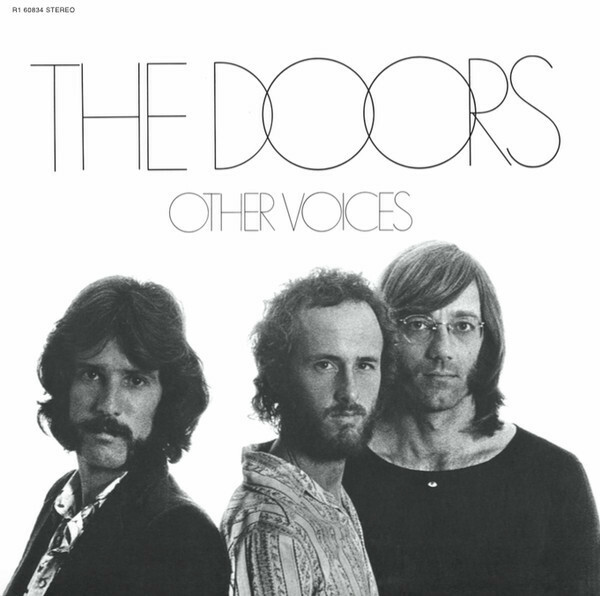 Other Voices is the seventh studio album by The Doors, released in October 1971. It was the first album released by the band following the death of the lead singer Jim Morrison. To many enthusiasts, the loss of Jim Morrison (vocals/lyrics) likewise meant the passing of the Doors. Certainly the band's focal point changed on the two long-players that the trio of John Densmore (drums/vocals), Ray Manzarek (keyboards/bass pedals/vocals), and Robbie Krieger (guitar/vocals) issued in the immediate post-Morrison era. After Jim Morrison's unexpected death on July 3, 1971, The Doors scrambled to record their first album without their visionary leader. The songs were being worked up while Morrison was in Paris, being prepped for his eventual return to America. When Morrison never made it back, the remaining members took up vocal duties. While there's an obvious void here, there's also much to recommend. "In the Eye of the Sun" is a spunky opener, a virile blues with keyboardist Ray Manzarek taking the reins. "Tightrope Ride" is even more galvanizing and telling. Listen closely, and you'll hear the tale of rockers who passed too soon, from Brian Jones to Morrison himself. "Ship with Sails" recalls the Doors of L.A. Woman with a slinky, motoring groove. "Down on the Farm" possesses the dreamlike quality of the best Doors material, where genres melt into a peculiar organ-guitar fueled melody. "I'm Horny, I'm Stoned" uses unexpected harmonies to do battle with a song that explores the post-psychedelic era. "Wandering Musician" and "Hang on to Your Life" further reflect the group's shock at losing their leader.